The Fringe Tree is a dramatic flowering native tree from the southeastern states. It will grow across almost all the country, in cooler and warmer areas. It makes a perfect small specimen tree for an urban garden, since it is resistant to urban conditions, or it will thrive in a larger garden too. 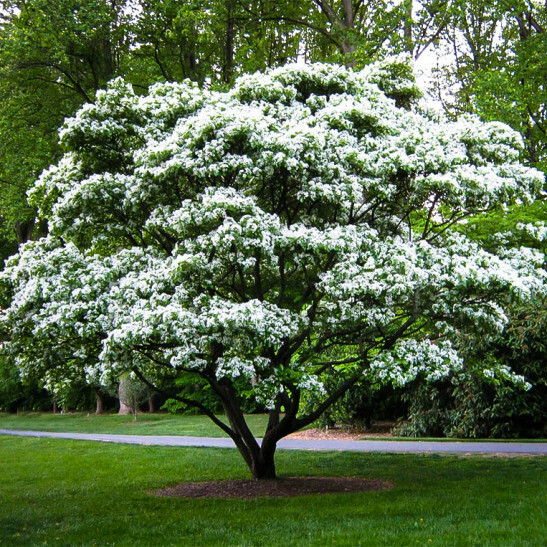 In early summer the Fringe Tree is covered with beautiful and unique white flowers that fill the air with a rich perfume that is similar to the scent of lilacs. This lovely tree makes a spectacular display and it is also beautiful in fall, when the leaves turn a perfect clear yellow. 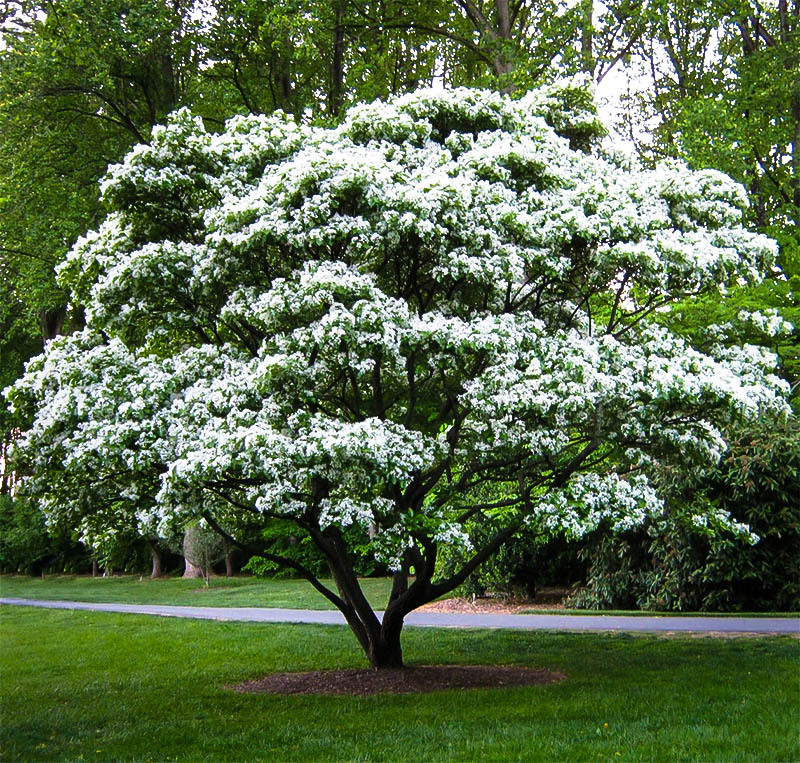 Choose a sunny location for your Fringe Tree, which will grow in most kinds of soil. Grow it along streams or by a pond, although it will also grow well in regular garden conditions. Once established it is moderately drought tolerant, but it should not be allowed to become completely dry for long periods. Because it is a native tree it can be used in natural gardens too, or to add interest to wooded parts of your property. 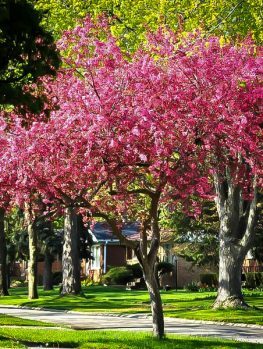 A tree in flower is a spectacular sight that will turn heads and have your neighbours asking you what that beautiful tree is. Some gardeners reject native trees in favor of more exotic things, believing that native plants are weedy and uninteresting. The Fringe Tree certainly puts a lie to that idea! 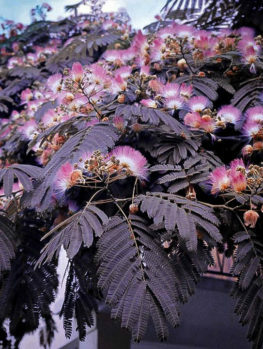 This native American tree is one of the most spectacular small flowering trees you can grow, which simultaneously attracts lots of attention and yet is not often planted. 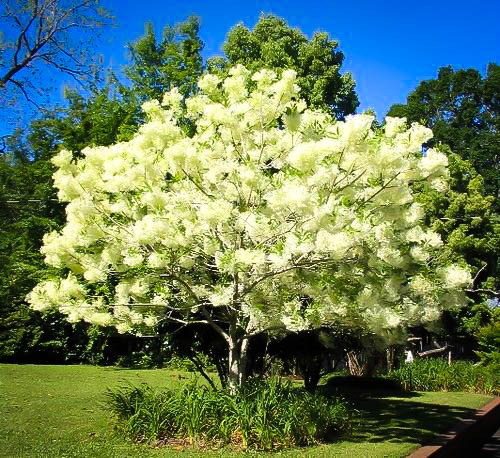 Now is the time to end all that and plant a Fringe Tree in your garden, to fill the air with perfume and dazzle your eyes with one of the most spectacular flowering trees available. Not only is the Fringe Tree spectacular, it is also easy to grow in almost any garden, and is hardy across almost all of the country. 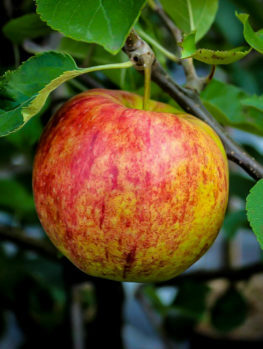 It will grow well in most kinds of soil, although it will really thrive in damper locations with rich soil, and it is rarely or never bothered by pests and diseases. 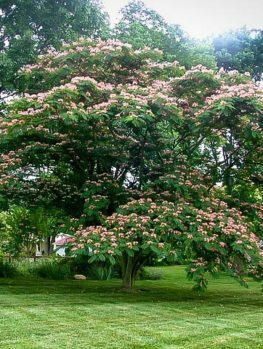 This beautiful low-maintenance tree will only grow to around 20 feet tall, so it is ideal as a small specimen or shade tree in a smaller garden, or planted in the background of a larger one. The Fringe Tree, Chionanthus virginicus, grows wild from New Jersey all the way to Florida, and west to Oklahoma and Texas. However it will grow happily in gardens over a much larger range, and is hardy from zone 3 to zone 9. So there are very few places in American where this tree cannot be grown. In the wild it is found in lower areas, along streams or in open places, so it will do best in the garden in damper soil, although it is moderately drought tolerant once well established. Plant it in a sheltered location in colder regions. The main feature of the Fringe Tree is its spectacular spring flowering. 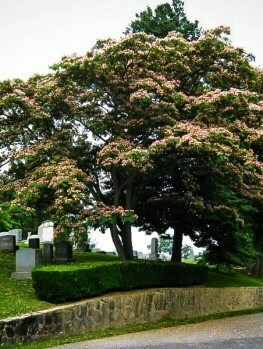 As the new leaves emerge the tree burst into bloom, often completely obscuring the foliage with the display of flowers. These are a creamy-white color, fragrant, and unique in form. The petals are about one inch long, but narrow and almost thread-like. The flowers are carried in large clusters that are six to nine inches long, and they cover the tree in sprays of white. The name Fringe Tree comes of course from the narrow petals. A tree in flower is a marvelous site, made even more special by the sweet perfume that is released by the flowers, filling the air with fragrance. The most fragrance is released in the early morning and in the evening, just when you are out enjoying your garden. Most people feel that the perfume resembles lilacs, and that is one of the most beautiful flower scents there is. There are separate male and female trees, but the flowers are almost identical on both types of tree. Female trees may also produce purple-black berries like miniature plums or olives, which ripen in fall. 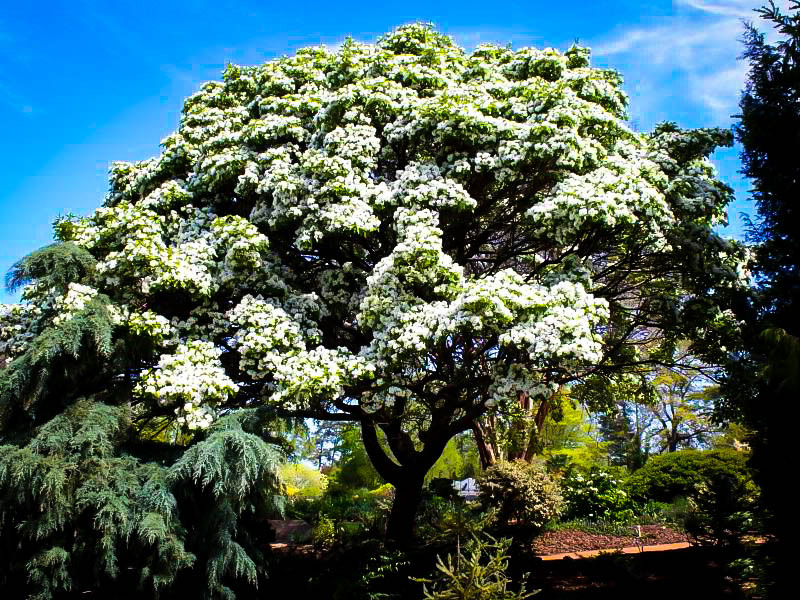 Although in nature trees over 30 feet tall may be found, in the garden the Fringe Tree grows normally to around 20 feet tall, with a broad, rounded crown. This makes it the ideal choice for a lawn specimen in a smaller garden, or in the foreground of larger trees on a larger property. 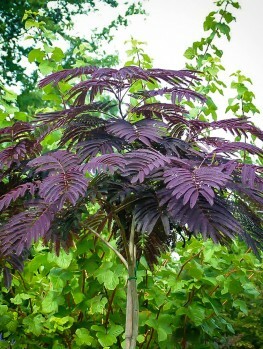 It is tolerant of air pollution and urban conditions, so this is also the perfect tree for a town garden. The leaves are oval in shape, up to four inches long, with a smooth upper surface and a slightly hairy lower side. In fall the leaves turn a lovely clear yellow color, adding another season of beauty for this beautiful tree. You can grow your Fringe Tree with a single, central trunk, or as an attractive multi-stemmed shrub-like tree. The bark has an attractive rough texture and is reddish brown in color. This really is a charming tree that should be more widely grown. 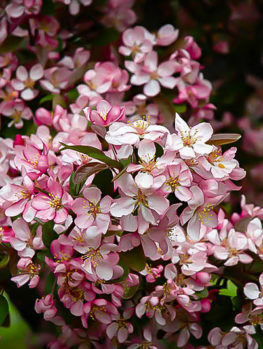 It will grow in most kinds of soil, but it will do best in richer, moist soils, so plant it by a stream or pond, or mix plenty of rich organic material into the soil when planting. Apply organic mulch each spring and keep your tree well-watered, especially during the early years. It will grow at a moderate rate and in a few years you will have an attractive plant that will soon grow into a beautiful specimen and grace any garden. The Fringe Tree is rarely bothered by pests and diseases. Once you have established a trunk system on your tree it will need little or no further pruning and will grow better and more spectacular with each passing year. So for low-maintenance gardening, this tree is hard to beat. 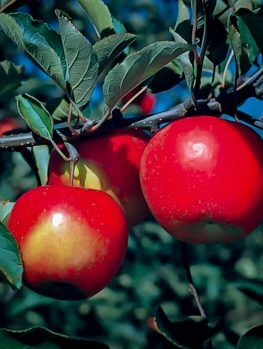 This lovely tree is always in high demand, and our stocks are limited, so if you want to enjoy the beauty of this tree in your garden – and who wouldn’t – then order now to avoid disappointment.